We manufacture lightweight and heavy-duty models of Cable Festoon Systems. The selection of the appropriate system depends on the respective situation at the site, the cable type to be transported and its total weight. 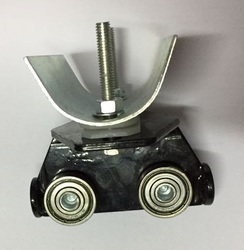 The cable trolleys are either made of plastics or galvanized steel and bore on rollers so they can be easily moved. They have a rubber or plastic plating so the transported cables are not damaged. C-Rail system are used to electrify various types of mobile equipment. They can be designed not only to support and protect flat and round electrical cables, but air and water hoses as well. Festoon systems are typically used on overhead cranes, port cranes, refuse cranes and other material handling applications. This system also used for Electrification of Moving Machinery. We also have a solution for extremely corrosive environments. Our product range includes non-rusting, acid-proof and seawater-resistant festoon cable systems, as well as accessories for the various cable management systems. Heavy Festoon System are used to electrify various types of mobile equipment. They can be designed not only to support and protect flat and round electrical cables, but air and water hoses as well. Festoon systems are typically used on overhead cranes, port cranes, refuse cranes and other material handling applications. We also have a solution for extremely corrosive environments. Our product range includes non-rusting, acid-proof, and seawater-resistant festoon cable systems, as well as accessories for the various cable management systems. Our festoon cable systems guide electrical power cables (as flat and round cables) and hoses for gaseous and liquid media to movable devices. 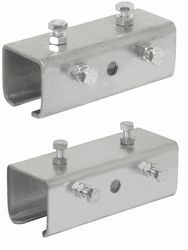 The cable festoon systems are guided in tracks (profiled tracks, square or I-shaped profile). Festoon systems are used to electrify various types of mobile equipment. They can be designed not only to support and protect flat and round electrical cables, but air and water hoses as well. We also have a solution for extremely corrosive environments. Our product range includes non-rusting, acid-proof, and seawater-resistant festoon cable systems, as well as accessories for the various cable management systems. We offer a wide range of solutions with accessories in a separate catalog. 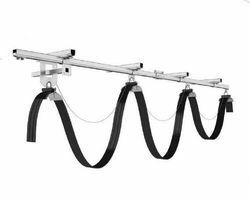 I Beam Trolley, Trolleys for I Beam, NPI Beam Trolley, 4 Wheel I Beam Trolley, Heavy Duty Festoon System For H Beam, Round Cable Trolley, Flat Cable Trolley. Festoon system for I beam works reproductively with cranes by using round or flat cable (plating units, high capacity stowing systems, automotive-industrial manufacture workshops, automation integrated systems such as textile etc., portal cranes, travelling cranes, special designed stowing and loading machines, milling and construction sector facility applications) which requires mobile control by long range of maintenance period, and wide movement. 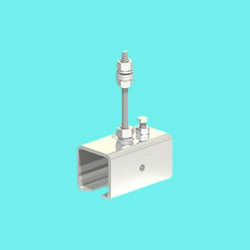 Compact arrangement, corrosion resistance and simple assembly are its essential features. The light weight and small structure allows flexible usage for different applications. We manufacture lightweight and heavy duty models of Cable Festoon Systems. The selection of the appropriate system depends on the respective situation at site, the cable type to be transported and its total weight. The cable trolleys are either made of plastics or galvanised steel and beared on rollers so they can be easily moved. They have a rubber or plastic plating so the transported cables are not damaged. Cable Festoon Systems with C-rails can be used in many ways. For instance, they are installed on indoor cranes, in workshops or on outdoor surfaces, to implement a flexible transmission of current and compressed air or media. 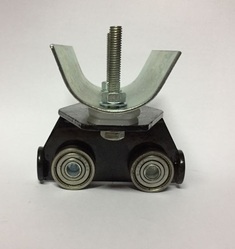 In the first and last C Rail Hanger Clamp the C rail has to be secured against sliding in the horizontal direction. 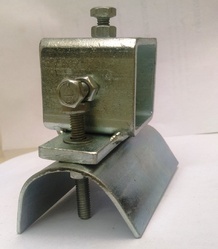 Therefore, 10 mm diameter Bolt into the side of the rail for the locking screws. 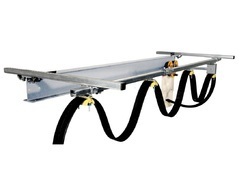 We are successfully ranked amongst the trustworthy entities offering a wide range of Cable Trolley. This is manufactured using high quality stainless steel alloys and advanced technology. The precision engineering provided in cable trolley offer accurate dimension and aligned functionality to the trolley. Furthermore, this trolley is developed adhering to industry standards, which assure high durability and reliable performance to the users. In addition, clients can also opt for custom trolley according to the business or projects requirements.